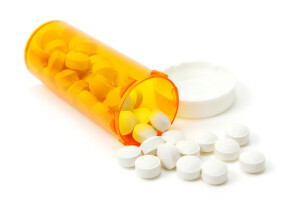 Nuvoryn Reviews (UPDATED 2019): Is It Safe? Nuvoryn Reviews: Is It Safe? Nuvoryn is a diet pill made in the UK that claims to be well-researched and scientifically proven to result in what Nuvoryn describes only as “natural weight loss”. Nuvoryn offers very little in the form of a scientific explanation as to how its product actually works, but judging from the supposed capabilities of some of its natural ingredients, we can assume that it works by increasing your metabolism and energy, as well as by acting as an appetite suppressor to help you feel full and eat less. However, some potentially shady aspects surrounding how Nuvoryn is marketing itself casts doubt on the integrity of the product. 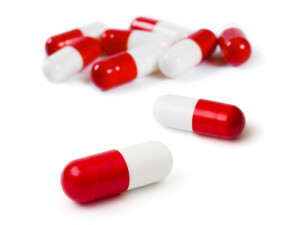 There’s a chance that Nuvoryn is not actually capable of providing the weight loss effects that it promises, so let’s inspect the drug and see what it can actually do. There is very little information available online regarding the company who produces and brands Nuvoryn. However, the company seems to be known as Nathans Naturals and operates out of Dedford, Bedfordshire in England. While the official Nuvoryn website contains plenty of information and even videos about the product itself, it provides no information regarding Nathans Naturals, such as a phone number, email address or even a physical address. 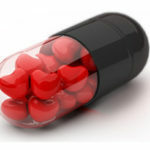 Nuvoryn comes in the form of capsules designed to be taken twice a day, in the morning and evening. Nuvoryn can either be taken with meals or on an empty stomach. Nuvoryn offers no scientific explanation of how its product actually works in your body to help you lose weight, beyond the fact that its natural ingredients work to suppress your appetite and increase your metabolic rate. Nuvoryn’s official website offers a very large amount of positive user testimonials, but given the fact that this is the product’s official website, it may not necessarily be a smart idea to trust these reviews. In fact, if you search out other user testimonials online, you will find largely negative reviews that claim Nuvoryn to be virtually ineffective. Nuvoryn contains a proprietary blend of natural ingredients designed to work as an appetite suppressor that makes you feel full while simultaneously boosting your metabolism. Nuvoryn’s ingredients include Green Tea, Guaran, Damiana and Yerba Mate, the weight loss properties of which have all been fairly well researched. Nuvoryn also contains extracts of super foods and antioxidants such as Acai, Resveratrol, Siberian Ginseng and Pomegranate. Nuvoryn claims these ingredients to be capable of burning fat, boosting your metabolism and clearing out bad fats from your blood and abdominal area. Unfortunately, Nuvoryn does not disclose how much of any of these ingredients is actually present in their formula, so it is unknown if there is enough of anything to actually lend benefits to the product. One good thing about the product is that it has no known or reported side effects, although the amount of caffeine in Nuvoryn may result in typical side effects such as restlessness, sleeplessness and headaches. Nuvoryn allegedly comes with a 100% money back guarantee, as well as a complete refund if returned within 100 days. Nuvoryn definitely employs some shady business practices. While it claims to offer services such as returns and refunds, unsatisfied users have reported frustrating difficulties when trying to return the product and get their money back, such as an inability to get in touch with anyone at Nuvoryn who might be able to help them. 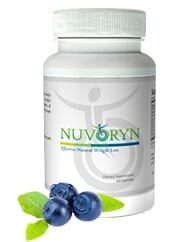 While Nuvoryn is made with natural ingredients, the weight loss properties of which have been fairly well-researched, the dosage of the ingredients that can be found in Nuvoryn is not disclosed, so it is unknown if the product includes enough of any of its ingredients to actually serve as an effective weight loss tool. While it may contain some natural ingredients that have previously been linked to weight loss, it’s unclear if Nuvoryn includes enough of any of them to actually serve as a viable option for losing weight. Nuvoryn’s website also seems to include some purposefully misleading information, and the positive user testimonials that it provides conflict with the many unsatisfied customers who have voiced their complaints with Nuvoryn on more reliable and unbiased parts of the internet. It’s hard to trust a product when its business practices are as shady and questionable as those practiced by Nuvoryn. If the dosage of the allegedly effective natural ingredients found in Nuvoryn were disclosed, it might be a little easier to recommend the product, but with only the information regarding Nuvoryn available at this time it does not seem to be a good choice for a weight loss tool.